More people jobless. What now? These are difficult times. There is absolutely no denying that. It’s true we’ve got to try and remain optimistic and hope that somehow things will sort themselves out. But then we have also got to be realistic. It means we cannot ignore the impact of a couple of economic developments that have unfolded in this country during the past week. First there is the closure of Yazaki Eds Ltd, which has already been well publicised. Contrary to the spin from the government trying to put up a brave face, this is a big blow to the economy. The most difficult aspect of it is the fact the impact is going to be heaviest on some of the poorest members of this country, people who are already struggling to survive on measly incomes they earn. As if losing Yazaki was not already bad enough, the second most disturbing development comes from American Samoa. Today, we are finding out that hundreds more workers are expected to lose jobs at the Samoa Tuna Processors (S.T.P.) in the territory. With the company’s canning operations shutting down indefinitely on 11 December due to “adverse business conditions,” the knock on effect this will have on Samoa will be devastating. It is yet another cruel blow we do not need. Why? The majority of production staff at the Cannery are from Samoa. Where will they go? What will they do? What about their families who depend on these employees as they are the breadwinners? It’s not as if they can continue to stay in American Samoa. According to the C.E.O. of the Tri Marine Group, Renato Curto, he said the decision is incredibly difficult one, made with a great deal of reluctance. He blamed the challenging economics of canning tuna in American Samoa combined with external factors facing S.T.P. make Tri Marine’s private-label focused business model or operating the canning plant economically unsustainable in today’s market. Fair enough. The reasons are strikingly similar to the ones given by Yazaki when the company announced its closure. What it basically came down to – if we are to take what they are saying as gospel truth – is the closures are due to factors beyond their control. To an extent, they are correct. This is to be expected in a globalised world where economies interlink. When things go well, it is great but when there is squeeze, everyone feels it. Here in Samoa, we are certainly not immune. The question is what is our response? Where to from here? We ask this because in a matter of months, we will literally have hundreds and hundreds of people without jobs. In a country with unemployment figures already through the roof, it’s difficult to see the end of the tunnel to be honest. At times like this, we look to the response from the private sector and the government. In yesterday’s Weekend Observer, the President of Samoa’s Chamber of Commerce, Hobart Vaai, came across quite optimistic. 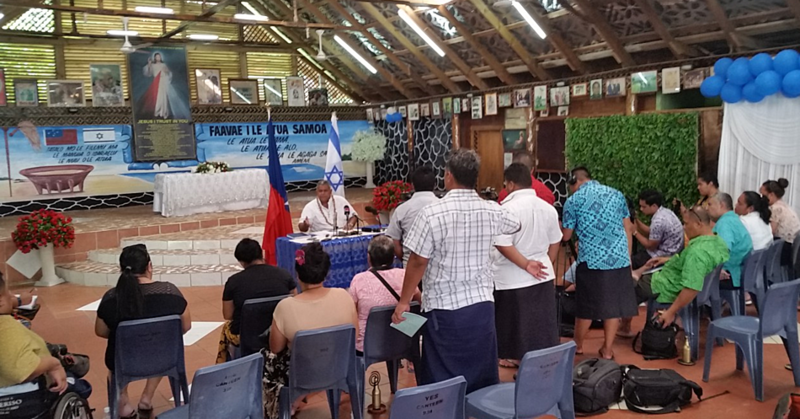 Speaking to Radio New Zealand, Mr. Vaai said Samoa has no other option but to remain positive, calling for all the relevant stakeholders to work even harder. “From the private sector’s point of view, it is an issue but we have to exploit other avenues. We’re looking at a cocoa initiative we have at the moment, encouraging farmers to replant cocoa,” Mr. Vaai said. “We’re working as much as possible in assisting the transition process, looking at areas such as job creation and small business development. We are really looking at encouraging entrepreneurship and providing opportunities for those who will be transitioning to unemployment. On the front page of the newspaper you are reading, Prime Minister Tuilaepa Sa’ilele Malielegaoi who also seems very optimistic, assuring that the government is working on a plan. “The closure of the business is something we have known about for sometime and Samoa is not the only country affected by it,” Tuilaepa said. 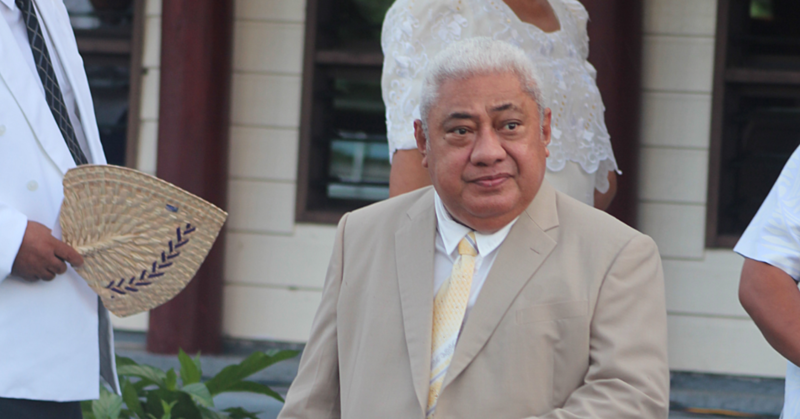 He added that Samoa is not alone when it comes to company’s shutting shop due to tougher economic conditions. He said it is also happening in New Zealand and other places with much bigger economies. Prime Minister Tuilaepa is correct in that regard. These are definitely very tough times everywhere. Now it is one thing to try and be optimistic but it’s quite another to be realistic. While it is wonderful to see that both the private sector and the government believe Samoa can handle this latest set back, it’s hard to be totally confident. Okay they are talking about a plan. Fine. But what is that plan? Who implements the plan? How will it help? You talk about job creation. Okay then. But how? Where? And when? From where we stand, people – especially the thousands who will be directly affected – need assurance. They need the details. They need the government to come up with a firm plan. The decision to close Yazaki did not happen overnight. Surely they should have had a plan by now. But then don’t hold your breath.